Illustrated by a newly unearthed collection of personal film reels, the revealing documentary GÖRING’S SECRET – THE STORY OF HITLER’S MARSHALL provides an uncensored look at the private life of Hermann Göring, Hitler’s devoted follower and second-in-command. 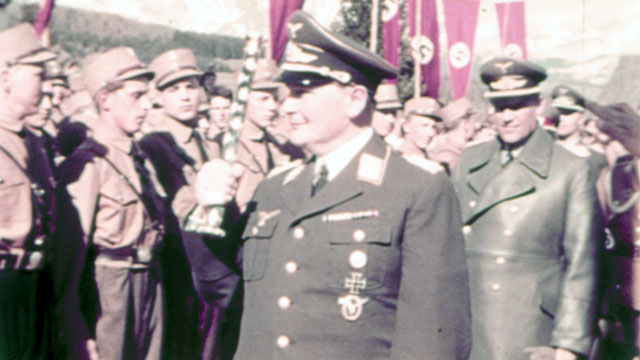 The program reveals footage of Göring as he preferred to see himself: as a powerful leader adored by the masses; as Commander-in-Chief of the Luftwaffe; and as Hitler’s most important confidant. Shot mostly in color, the films answer the question that has lingered in the decades since his Nuremburg conviction and subsequent suicide: how could a highly decorated World War I fighter pilot become such a corrupt and ruthless henchman of Hitler?